The information age is loosely defined as a period that began in the 1970s. This age is marked by the massive proliferation of information, particularly the publication, consumption, and manipulation of information via computers and computer networks. We are hardly immune to effects of the information age, even those of us who don’t spend a lot of time using computers. It’s much easier to study quilt history today than it was 40 years ago. Back then, if we wanted to learn about quilts, we had to leave the house, go to a library or museum, and seek books or quilts on display. Today, all we need to do is open the laptop or turn on the smart phone. 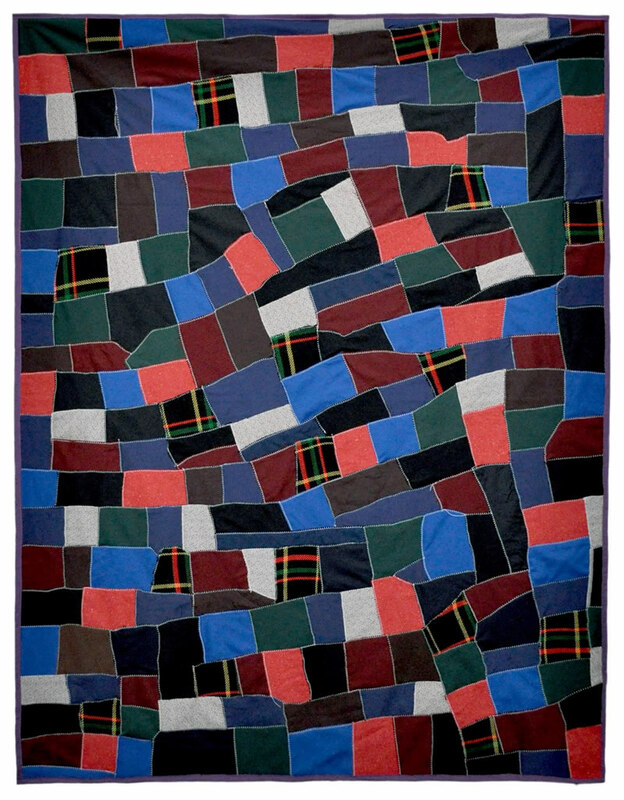 There are dozens of web sites, blogs, and databases such as The Quilt Index and the International Quilt Study Center & Museum collection database. One of my favorite resources is an online interactive group on Facebook. The group is called “Quilts-Vintage and Antique” and it’s the brainchild of Lynn Evans Miller of Gilbert, Arizona. The group was conceived as a virtual quilt museum where Miller could post pictures from her sizeable collection. On August 24th, 2009, she posted her first pictures, examples from her wonderful collection of Bucilla cross-stitch quilts. She invited friends to the group, but little did she realize, three years later the group would have nearly 800 members and would be a massive quilt history think-tank. The group includes dealers, collectors, quiltmakers, historians, authors, curators, and people who simply love quilts. Eye candy rolls by all day, every day. People post pictures of new finds, questions, comments, and the page has even become an unofficial meeting place for buyers and sellers of quilts. Since the page wasn’t set up for trade or commerce, the art of the subtle suggestion prevails. I hear things such as “looking for a home” or “available” or even “I’m not sure what I’ll do with this quilt”. Those who overtly post quilts for sale usually aren’t as lucky. It really has to be more about the quilt, and rightly so. Although buying and selling were not my primary objectives for being in the group, there have been transactions in the mix. I was online at the time, and said, “I think I know one or two of us here who would happily take it off your hands.” It was like calling first dibs. As the stream of comments rolled by, Julie and I were privately arranging for me to buy the quilt. It was a done deal before the quilt could ever be listed for sale. The lightning speed and stealth nature of that transaction shows just how much the information age affects us. Things happen much more quickly, and the deluge of information creates the need to process and act quickly. Hesitate, and you could miss out. Thirty or forty years ago, who could’ve imagined we would have so much information available at our fingertips? In the Quilts-Vintage and Antique group, whenever there’s a question it is answered. Misstatements or questionable facts are quickly addressed, and consensus is usually very reliable. The sense of immediate gratification is certainly a boon for students of quilt history, but if there’s any down side, it’s the constant need to monitor the quality of the information. That’s why it’s so great to have an online interactive community populated by many experts. The group is like a walking, talking, living and breathing encyclopedia. Every time I go there I learn something new. Leave it to the quilt people to make better use of Facebook than any other community. Photo courtesy of Bill Volckening.